Tesla short sellers use drones and Twitter to pressure Elon Musk | Car News, Reviews, & Pricing for New & Used Cars. SAN FRANCISCO/WASHINGTON (Reuters) – An online army of skeptics and amateur sleuths that has spent years promoting bets against Tesla senses an opportunity to renew pressure on the electric carmaker after the failure of Chief Executive Elon Musk’s plan to take it private. A go-private deal at $420 a share announced by Musk in an Aug. 7 tweet would have wiped out short bets against Tesla and hidden the company’s financials from the public eye. But Musk’s abrupt Friday announcement that he was dropping his plan and media reports of a U.S. Securities and Exchange Commission (SEC) probe into his tweets have galvanized Tesla bears. “It’s such a ridiculous situation,” said Brodie Ferguson, a 25-year-old Canadian whose interest in Tesla stems from watching videos about Musk’s other engineering ventures. “It’s … energized our skepticism,” Ferguson, who said he has a bearish options position on Tesla shares, told Reuters via Twitter. Ferguson is only one of thousands of Tesla bears who use Twitter to crowdsource financial data, photos, satellite imagery and video footage of Tesla facilities to shed light on the company’s production and sales figures to support their view that the stock is overvalued. A spokesman for Tesla declined to comment on short-sellers, who are often dubbed “haters” by Musk’s supporters on Twitter. Unlike Wall Street’s most famous short-sellers such as Jim Chanos and David Einhorn, this community is mostly retail investors and hobbyist shoe-leather investigators who coalesce around Twitter feeds like @TeslaCharts and $TSLAQ FinTwit. “A lot of the people in this bear community for Tesla are just ordinary folks,” said @Latrilife, a Twitter user and small business owner who said he has a bearish options position. @Latrilife, who asked to remain anonymous, told Reuters he started to scrutinize Tesla’s car production, distribution and sales after Musk refused to answer analysts’ questions about profit potential and capital requirements on a conference call earlier this year. Musk later apologized. Tesla has said it has various lots in California where it keeps cars before delivering them to distribution outlets. Others use drones to gather footage of Tesla production facilities, scour Tesla’s financial filings and pore over Musk’s statements for inconsistencies. Musk’s Aug. 7 tweet that he had “funding secured” for the deal and a subsequent New York Times interview in which he described his critics as “smartish” sparked a frenzy of online lampoons of the 47-year-old billionaire CEO. Short-sellers said all eyes will now be on mounting litigation against Tesla, the progress of the SEC probe, and Tesla’s cash flow and debt. East Coast-based small business owner Paul Shust, who told Reuters he uses information posted on $TSLAQ FinTwit and has an options bets against Tesla, said he was so upset by Musk’s Aug. 7 tweet that he wrote to SEC Commissioner Kara Stein that day, according to an email seen by Reuters. Stein’s office did not respond to a request for comment. The SEC has not commented on Musk’s tweets. Loss-making Tesla told investors earlier this month that it expects to show a profit in the third and fourth quarters and has reiterated that it does not plan to seek new capital from shareholders, something Wall Street analysts have questioned. Wall Street is broadly divided on Tesla. Of 27 analysts tracked by Thomson Reuters I/B/E/S, 10 have hold ratings on the stock, nine recommend buying and eight recommend selling. Tesla is the most short-sold stock in the United States, with investors betting around $10.18 billion that the company’s shares will fall, according to financial technology and analytics firm S3 Partners. Short-sellers borrow shares and then sell them, hoping to buy them back at a lower price and pocket the difference. 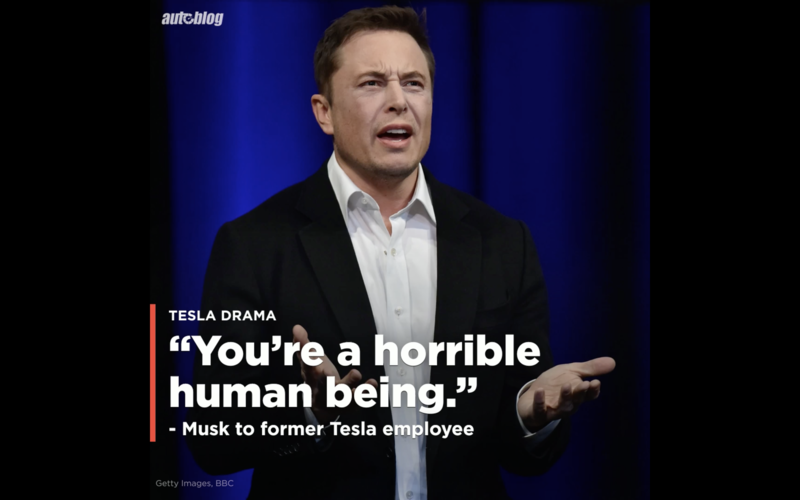 Musk has mocked short-sellers and called some of their allegations lies, while also saying their hostility has taken a toll on him and the company. “The biggest risk short-sellers pose to Elon and the stock price is putting information out there,” said Paul Huettner, who works for a Chicago-based advisory firm and said he took out options betting against Tesla after it missed its Model 3 production targets last year. He focuses on crowdsourcing information on departures of Tesla executives and litigation relating to the company. “No short-seller is preventing Elon from building cars,” Huettner added. Short-sellers are not alone in scrutinizing Tesla. Analysts at Switzerland’s UBS hired engineers to pull apart a Tesla Model 3 to understand its production costs. The bank currently has a “sell” rating on the stock. While Tesla shares spiked the day of Musk’s Aug. 7 tweet, they have since fallen around 9 percent as concerns grow over Musk’s leadership. The dip has generated more than $942 million in paper profits for short-sellers, according to S3 Partners.